Okay, before you think is a slam job on Christian Bale's masterful work in Christopher Nolan's sacrosanct The Dark Knight Trilogy, it is not. Rather this is simply another way to look at both his and Ben Affleck's Batman portrayals in a way that is objective and contemporary. It is objective because both are fine actors and it is contemporary because Batman v Superman: Dawn of Justice just hit theaters. And it appears to be a big hit with fans. By the time you read this story, the verdict on the film will be in...At least in the short term. Some apparently love it while others hate it. The fans have praised the movie for being an exciting comic book adventure that delivers on all promises. Critics haven't been so kind, granting the movie a 29% rotten score on Rotten Tomatoes. Over the weekend, Batman v Superman: Dawn of Justice scored a domestic total of $170 million, going onto earn a worldwide box office debut of $424.1 million, the highest global opening for any superhero movie. It's clear we'll definitely be seeing more from Ben Affleck's Batman, with the character already confirmed to return in this summer's Suicide Squad and next year's Justice League Part 1. Christian Bale's Batman, though still looming large, just didn't have a place in Batman v Superman: Dawn of Justice. It didn't seem right by anyone to simply pluck that actor from the Christopher Nolan universe, and drop him into this world that is run by Henry Cavill's Kal-El. Even Christian Bale's ardent supporters, whether they wanted this new film or not, have not seemed to complain about him not having anything to do with this latest Batman movie. Which brings us back to Ben Affleck. Once canonized with his "bro" Matt Damon, both have gone on to have very lucrative and critically acclaimed careers. Sure, Ben Affleck has had his ups and downs, but the fact that he never lost sight of his career (or that Hollywood could turn on him at any moment) seems to have paid dividends. It is this level-headedness that he brings to the role of the Dark Knight in a way Christian Bale did not. As was stated above, Christian Bale was incredible as billionaire-turned-vigilante Bruce Wayne. However, the actor that has picked up the mantle, while maybe not as solid of a thespian as Bale, certainly knows what he's doing on screen. 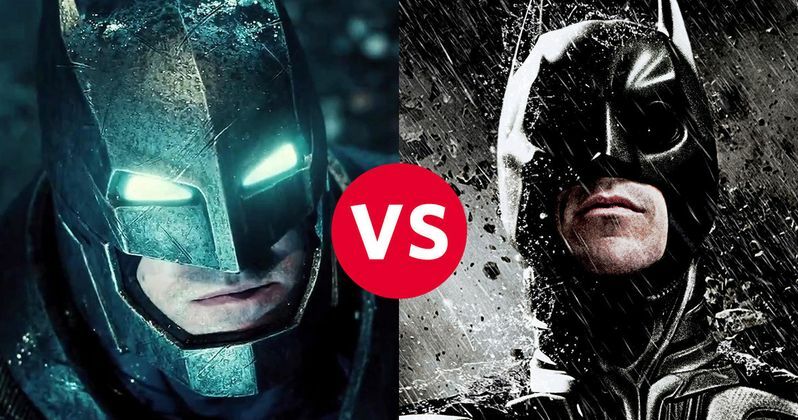 It is because of this that there are "7 Ways Ben Affleck's Batman is Better Than Christian Bale's." Now, before you advance much further, know that this article was written to be spoiler free. In the interest of properly breaking down Ben Afflecks performance, certain "sensitive information" may have surfaced. Apologies up front if anything was revealed that should not have been. Now, let's get started.